A demonstration of some of the features in the Emperor Engine, a low level game engine developed at Last Shot Studios Inc.
After many year of being on and off the team for various projects, I'm proud to announce that I am taking over the role as Scrum Master, and more over an Administrative position with the vision of bringing our newest title to the market within the next couple of years. I'll be wearing various hats in the role, not only keeping the team on track of the goal to complete our newest project for release, but also managing the release itself, leading all Marketing efforts. I just wanted to let everyone know how honored I am to be joining the LSS crew as the head of Music and SFX. For those of you who don't know me, just google DJWilma, and chances are you'll find me. I started out in the DJ scene, doing live mixes online, and after about a year or two I transitioned into producing. Though my focus has been mostly in EDM genre, I did the orchestral theme for the Rocket Blocks Prototype, and am currently working of future projects. Access to forums has been restricted due to a spamming problem. Users are no longer able to create forum threads, this functionality will return as soon as a reasonable spam solution can be implemented. EDIT: User are now able to create forum topics again. UPDATE: Alpha testing has closed, thank you all for your participation. We have recently completed a very early version of Rocket Blox and we would like to invite you to assist us in its development! 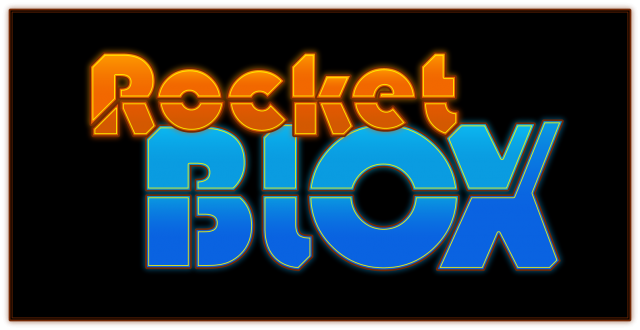 By becoming an Alpha Tester you will be given access to the early versions of Rocket Blox to test for us. 1) To test the game for bugs and report them. 2) To submit performance reports on how well the game runs on your own personal hardware. Hey guys, I am LSS_NorthWind and I am the co-founder of Last Shot Studios. As Cloud has mentioned, I am the other half of our young incorporation. Aside from executive duties shared with Cloud, I do a lot of the base conceptual work on the lower-level internals of our game engine as well as some art work here and there. Much love for everyone who has liked our page thus far! We will get you some information on our running projects in the near future and thank you for your love. Hello, I am the founder and President of Last Shot Studios Inc. My name is Joseph Patrick Hughes II, but you will likely see me referred to as CloudScorpion, CloudS, Cloud, or CS in many of my online activities. This is my personal blog here at LastShotStudios.com and you will be able to keep up-to-date on my projects and progress as we try to bring Last Shot Studios to fame and glory! You can also keep up-to-date with my partner in crime LSS_NorthWind by checking out his blog also hosted on this website. Thank you for visiting the Last Shot Studios website. There is still much work to be done here but we are filling this up as we get things rolling.